Are you experiencing a divorce or custody battle? Are you in bankruptcy or a debt collection case? Are you struggling with a personal injury case or facing foreclosure? Arm yourself with the tools to fight. Our litigator’s toolset helps you draft and print professional legal documents from a template library, find and capture statutes and cases, keep track of tasks, access case filings and evidence anywhere, manage expenses, avoid rookie mistakes, proceed intelligently, and more. Use automated templates to write your pleadings and motions. Save your drafts and edit them whenever you like. Download and print your motions in a format that’s ready to sign and file. Use our pro se-friendly legal research tool to find cases, statutes, and other authorities. Organize your citations to easily paste into your motions. Store all your research results so they’re easy to find when you need them. Maintain a record of your case and have it at your fingertips at any time. Upload and tag PDF versions of all documents filed in your case. Manage filings to add exhibits to your motions. Search your files for specific tags. Plan your major tasks by the stage of your case. Track the progress of your tasks (In Progress, Completed or Deferred status). Schedule events like hearings and filing deadlines, and set reminders as needed. Collect and organize evidence for your case. Store your discovery results in PDF or image formats, with notes on related facts and elements. Your evidence is at your fingertips when you need to use it in court. 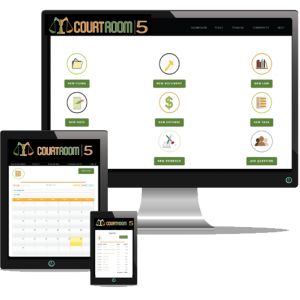 Capture thoughts and miscellaneous details about your case. Assign your notes to categories based on the stage of your case. Copy and paste notes into other areas of your case profile. Keep a running total of your costs. Upload receipts for each expense, or simply estimate the amount you spent. Categorize expenses for copies, parking, postage, everything.